Paul Dennis Murphy, age 51, passed away peacefully on Monday February 19th at home, after a courageous battle with cancer. He was the youngest son of the late James Murphy and Winifred (McShane) Murphy Paul was born in Winnipeg on January 15, 1967. As the youngest child of 11, he always had a special relationship with his mother. He attended Laura Secord Elementary and Gordon Bell High School. 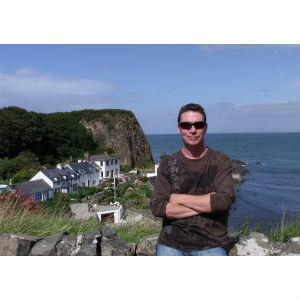 Paul moved to Vancouver in 1995 and eventually set up his own painting and renovation company there. Paul leaves his wife Tamara (Tami); his son Haiden; his mother Winnie; sisters, Anne, Margo, Goretti, Sheilagh (Norbert); brothers Ed, Jim (Louise) Brendan, and Sean (Lynn) and numerous nieces and nephews. Paul was pre-deceased by his brothers Michael and George. Paul was an incredibly generous and caring person. He was full of life and filled the room with his laugh. He believed in honesty, respect and always following through on your word. Paul shared his love of the outdoors, camping and fishing with his son Haiden, and they spent as much time off-roading as possible. He loved hockey, classic cars, cooking and simply spending time with friends and family. A memorial service will be held at Celebration Hall at Mountain View Cemetery in Vancouver on Friday, March 2nd at 1:00 pm. A memorial service will also be held in Winnipeg later in March.